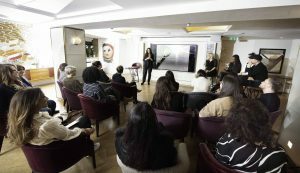 We held our first Beyou Press event on Wednesday 13th March at the Ivy’s members club in London. Its the first time Nawal and myself have had to present in front a group since being at school, so its safe to say our nerves were rife! 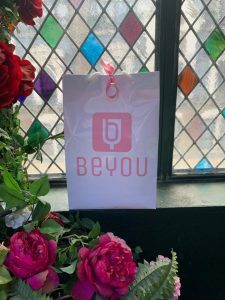 At the event we had 3 of our amazing Beyou Ambassadors, Anna B, Fabio S and Claudia H there to give the guests a little taster of the Beyou experience whilst we all did some mingling, had a cocktail or three and some yummy nibbles. We then did a presentation for about 45 minutes with a big Q&A and it went really well. All of the guests were lovely & hopefully they also really enjoyed the night.